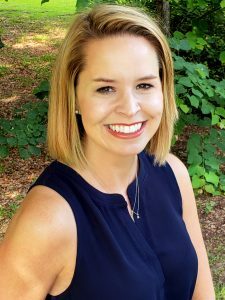 [Tallahassee, Fla] Today, representatives from the Florida Restaurant and Lodging Association (FRLA) announced the hire of Amanda Handley, APR, as Press Secretary. Handley brings expertise in media relations and strategic message development to the state hospitality trade industry’s association. Handley’s PR background includes working with clients ranging from local nonprofits to national associations, and she is an active member of the Florida Public Relations Association. She currently serves as the President-Elect of the FPRA Capital Chapter and was the Joe Curley Rising Leader for the chapter in 2018. She is also a member of LeadershipFPRA Class II. Her award-winning work has earned national media coverage in publications such as the Chicago Tribune and Apartment Therapy. A lifelong Florida resident, Handley holds a Master’s degree in English Education from Florida State University. Prior to joining the FRLA team, she was the Public Relations Director at BowStern Marketing Communications, worked in the Florida Senate and taught high school English.